In 2019, the H. Upmann brand is celebrating its 175th anniversary. For Altadis U.S.A, the company decided to get a head start on the celebration in 2018. 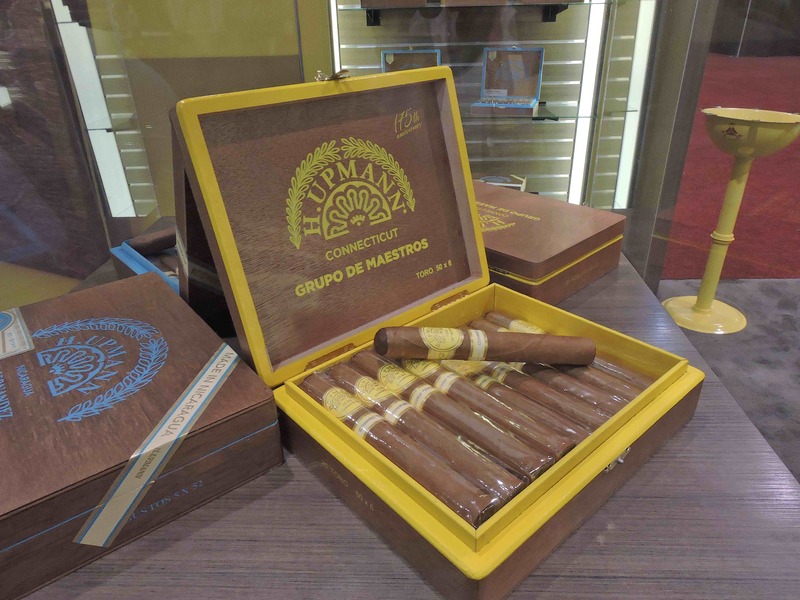 It was at the 2018 IPCPR Trade Show when Altadis U.S.A. rolled out a new addition to the H. Upmann line in the form of a Connecticut Shade cigar known as the H. Upmann Connecticut Grupo de Maestros. 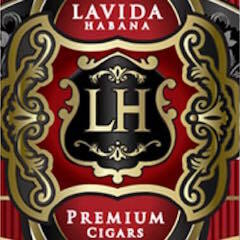 The name not only is derived from the fact that it uses a Connecticut Shade wrapper, but the fact that Altadis’ all-start cigar makers worked on the project. The cigar not only pays homage to a very old brand, but its a cigar also designed to give the brand a more contemporary spin. Today we take a closer look at the H. Upmann Connecticut Grupo de Maestros in the Toro size. 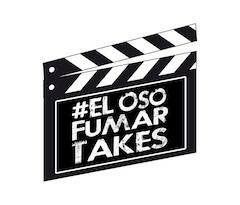 As mentioned, the Grupo de Maestros team represents some of the most skilled cigar makers in the Tabacalera de Garcia and Flor de Copa factories. 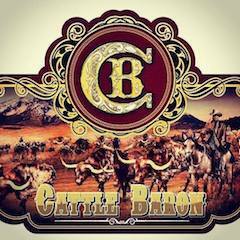 They have been involved in some high-profile Altadis releases. 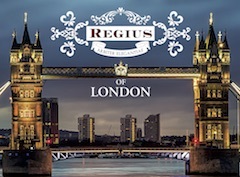 According to Altadis U.S.A., the group has more than 300 years of combined experience. Without further ado, let’s break down the H. Upmann Connecticut Grupo de Maestros and see what this cigar brings to the table. 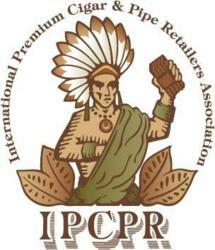 The Connecticut Shade wrapper of the H. Upmann Connecticut Grupo de Maestros comes from Ecuador. 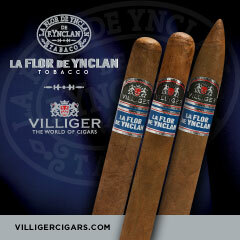 The remainder of the blend uses Dominican tobacco. One way the H. Upmann Connecticut is more “contemporary” is the inclusion of Pilotico tobacco. This seed varietal grown by the Mendez family that Altadis has used before – most notably on the Montecristo Pilotico Pepe Mendez. 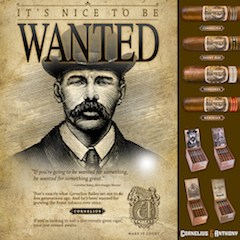 The Pilotico tobacco comes from Jose Mendez & Co, a company founded by Cuban exile José “Pepe” Mendez. Mendez came from a tobacco family in Cuba. At the time of the 1959 Cuban Revolution, Mendez would flee Cuba, taking some tobacco seeds with him known as Pilotico. Eventually, Mendez settled in the Dominican Republic where he started growing the Pilotico seed in the Cibao region. Pilotico is a low-yield tobacco that is susceptible to mold and as a result, the tobacco fell out of use. 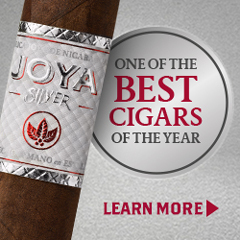 Several years ago, Pepe’s grandson Siegfried Mendez, the Tobacco Director at José Mendez & Co., started regrowing the Pilotico seed in the Navarette region in the Dominican Republic and thus Pilotico tobacco has been reintroduced. This Pilotico tobacco has been made available to Altadis U.S.A. The H. Upmann Connecticut will be available in four sizes – each presented in 20-count boxes. 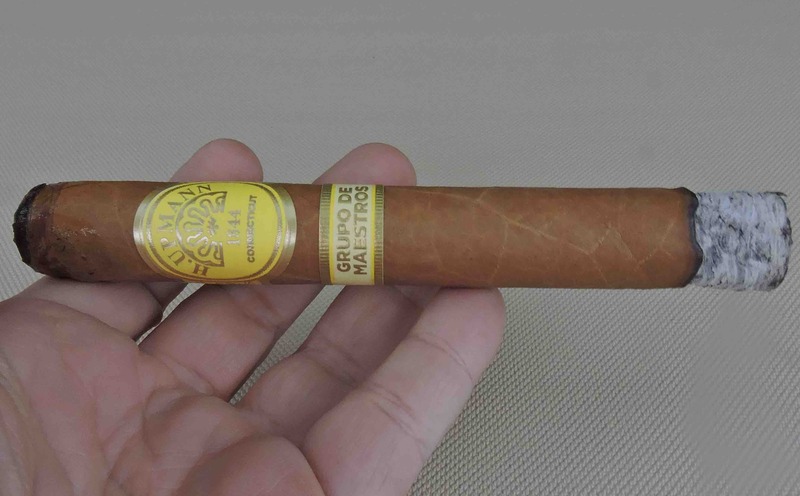 While the Ecuadorian Connecticut Shade wrapper of the H. Upmann Connecticut Grupo de Maestros Toro had a light brown color, it is still slightly darker than most Connecticut Shade wrappers. There wasn’t much oil on the surface of the wrapper. Any visible wrapper seams were minimal. The surface of the wrapper had some visible veins, but overall was on the smooth side. Another “contemporary” feature of the H. Upmann Connecticut Grupo de Maestros is the use of a maduro leaf for the cap. 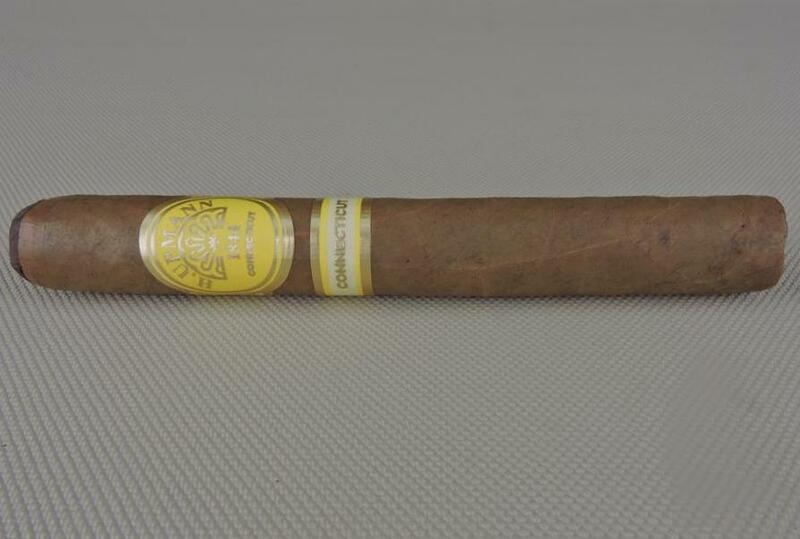 The band to the H. Upmann Connecticut Grupo de Maestros features a pale yellow background with gold font. The center of the band features the H. Upmann sun-wheel logo. 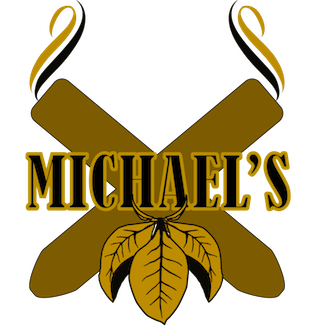 Above the logo is the text “H. UPMANN” and below it is the text “CONNECTICUT.” There are gold pinstripes and adornments to the left and right. The band is also finished with gold trim. A straight cut was used to commence the cigar experience of the H. Upmann Connecticut Grupo de Maestros Toro. Once the cap was removed, it was time to move into the pre-light draw ritual. The cold draw delivered a mix of cream, coffee, and a slight cedar note. This was an excellent pre-light draw. At this poin,t it was time to move into the smoking phase and see what it would have in store. The H. Upmann Connecticut Grupo de Maestros Toro started out with notes of white pepper, coffee, cream, and citrus. Early on the citrus and cream notes moved into the forefront. The coffee became a close secondary note while the white pepper was further back. On the retro-hale, there was layer of white and red pepper. As the H. Upmann Connecticut Toro moved into the later part of the first third, the cream notes remained grounded in the forefront. 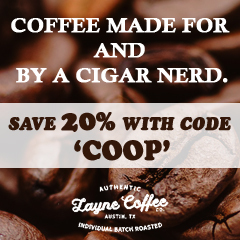 The citrus notes subsided into the background and the coffee notes surfaced in the forefront. There were still some pepper notes in the more distant background. This continued through the midway point of the cigar experience. Just past the midway point, earth notes started to mix in with the coffee notes in the forefront. These notes became more prominent and by the last third, displaced the coffee and cream notes in the forefront. By this point, the pepper spices in the background increased somewhat in intensity. Concurrently, the last third also saw some woody notes emerge in the background with the cream, citrus, and pepper notes. This is the way the H. Upmann Connecticut Grupo de Maestros Toro cigar experience came to a close. The resulting nub was slight soft to the touch and cool in temperature. While there was a slight amount of jaggedness on the burn line, the H. Upmann Connecticut Grupo de Maestros Toro maintained a straight burn path from start to finish. This was a cigar that didn’t need an excessive amount of touch-ups along the way. The resulting ash was mostly silver-gray and skewed toward the firmer side. As for the burn rate and burn temperature, both were ideal. As for the draw of the H. Upmann Connecticut Grupo de Maestros Toro, it had that slight amount of resistance – which in my book makes for a really good draw. At the same time, this was a cigar that was low maintenance in terms of deriving flavor from. The H. Upmann Connecticut Grupo de Maestros Toro is a cigar that delivered a medium strength, medium-bodied smoke from start to finish. There was a slight variance in the intensity levels along the way, but in the end, the H. Upmann Connecticut Grupo de Maestros Toro still was in the medium range. Both the strength and body balanced each other nicely with neither attribute overshadowing the other. When it comes to strength and body, it’s been mentioned on this site and other media outlets that many manufacturers are trying to move beyond the traditional “mild” Connecticut Shade smoke. 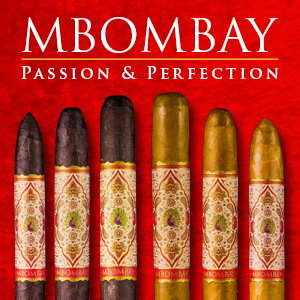 When it comes to the Grupo de Maestros Toro, I would say this cigar’s medium strength, medium-bodied profile puts it beyond the threshold of a milder smoke. 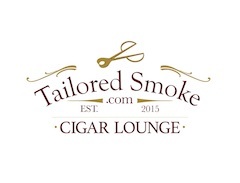 At the same time, there are other Connecticut Shade cigars out there that are bolder. There is no doubt that Altadis has succeeded in creating a contemporary spin for the H. Upmann brand. Not only is the H. Upmann Connecticut Grupo de Maestros Toro somewhat of a bolder Connecticut Shade offering, but the details such as the maduro leaf on the cap also contributes to this Connecticut Shade release. In terms of flavor, I did find the way the flavors all came together delivered something that wasn’t a “cookie cutter’ Connecticut Shade smoke. I did find this to be a cigar where the first half of the cigar delivered better flavor than the second. In the end, the H. Upmann Connecticut Grupo de Maestros Toro is a cigar that can be enjoyed by both the novice and experienced cigar enthusiast. As for myself, it’s a cigar I would buy and smoke again.